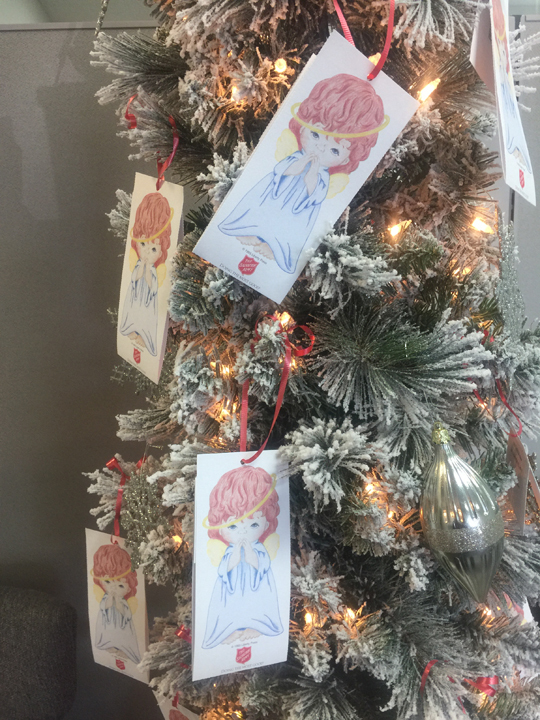 This year RE/MAX Champions partnered with the local Salvation Army of Pasco County to have an Angel Tree at our Trinity location. With the help of our agents, and the community we were able to make the holiday season brighter for 40 children. We thank everyone who was a part of this program and look forward to making next year's even bigger. Our final numbers are in! We have raised over $17,000 at this year's CMN fundraiser for our local Johns Hopkins / All Children's Hospital. We wish to thank all of our sponsors, donators, golfers and attendees. Without you, this wouldn't have been possible! We are looking forward to our next event and hope to see you all there. If you are interested in learning more about our annual fundraiser for Children's Miracle Network, please contact our office at 727-807-7887. 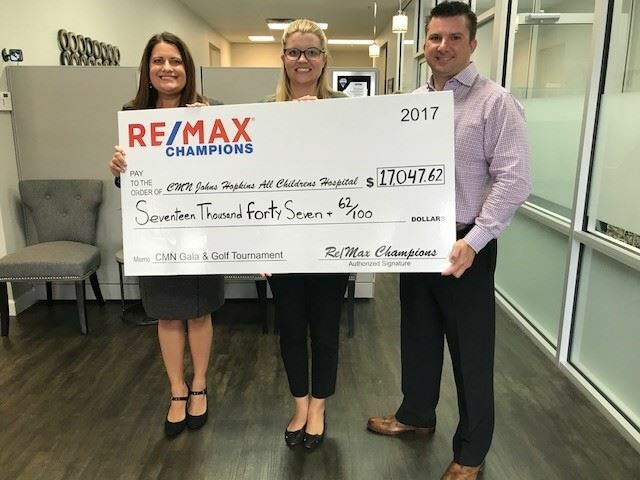 We at RE/MAX Champions believe it is important to give back to the community that has so graciously supported us and our business. We are excited to announce our Annual Gala & Golf Tournament Fundraiser to benefit our local Johns Hopkins / All Children's Hospital. This fun-filled weekend will be held on September 16 & 17, 2017 at Cypress Run Golf Club. RE/MAX is a proud partner of Children's Miracle Network hospitals. We have partnered with CMN Hospitals for 25 years and have raised $157 million across North America during that time. Champions Realty Group is appreciative to be part of this great cause! As Miracle Agents, we donate to the local CMN Hospital in our clients' behalf after closings. We invite the community to join us. Tickets are available for purchase for the Gala and/or the Golf Tournament at our office, 3224 Little Road, Trinity FL. Contact us with any question at 727-807-7887. Let's work together as a community to help out the local kids in need.